The netbook market has more or less dried up; the little things might still be useful for light computing, but they’ve been clobbered by tablets as the go-to device for quick email and web browsing. Could it be that they’re just not cheap enough? Asus might be looking to fix that. Existing netbooks generally cost somewhere north of $300, though of course they can be found cheaper. 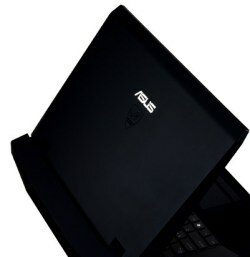 Suppliers have informed Digitimes that Asus/Asustek is looking to aim lower, with a $200-$250 price point and a lightweight OS, possibly Android or Chrome. The laptop itself would be likely be 10″ or 11″. That could easily be subsidized down to zero dollars with a six-month 3G contract, though that particular “$0 laptop” ship may have sailed in 2009. A $200 Chromebook? Hey, I might be down for that. It’s something I might actually be able to work from, unlike my iPad, and at $200 it’s such a small investment that I could have one sitting around the house for emergencies and not feel like I ripped myself off. We’ll soon see whether these reports have any salt to them. We haven’t heard anything about Chrome OS since the Cr-48, really, but I still have hopes.